Patricia de Lille, mayor of Cape Town, yesterday reassured citizens that her administration will continue pushing for damages in their court battle against WBHO, former contractor of Cape Town Stadium. 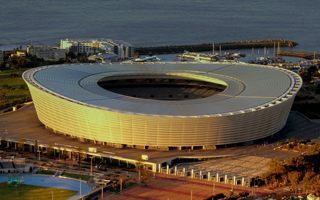 That’s not necessarily news itself, after all Cape Town has been pursuing compensation since 2014, after it surfaced that contractors artificially inflated costs of the 2010 World Cup stadia to illegally boost their revenue. However, the city has in recent weeks seen significant progress. The North Gauteng High Court ruled against WBHO who objected against admissions made by other companies. De Lille says the North Gauteng High Court’s ruling paves the way for the city to claim back money. While the South African government chose to settle cases against the contractors in order to avoid lengthy proceedings, Cape Town mayor stands behind her conviction to fight for damages in courts. The city initially demanded ZAR 400 million in damages, now the amount is 500 million ($38 million).